Woman rejected by mother in will wins £164k inheritance – a landmark ruling? “The long running saga of Ilott v Mitson would now seem to be at an end following the Court of Appeal’s recent landmark decision. Having determined back in 2011 that Mrs Ilott was entitled to a share of her late mother’s estate which had been left to three charities, the Court of Appeal has now ordered that Mrs Ilott receive approximately one third of her mother’s £486,000 estate. To follow the story click here. 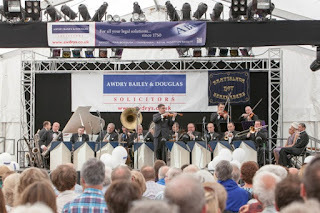 This fantastic fusion of hot summer weather and balmy evenings was very apt for Marlborough Jazz Live again this year! 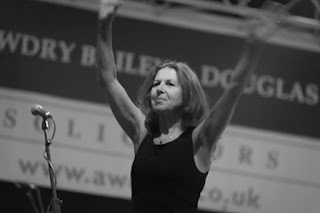 Amazing performances took place once again this year at Marlborough Jazz Live International festival. As always a huge turnout and the weather was simply wonderful. 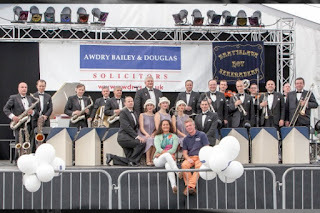 The Priory Marquee sponsored by Awdry Bailey & Douglas was packed out as always and the marquee side curtains were opened allowing people to sit out on the grass to enjoy the vibe. The Red Stripe Bands amazing boogie-woogie, rock ‘n’ roll and jump jive performance with Neil Drinkwater on piano and vocals were in full swing on the Friday evening in the Awdry Bailey & Douglas Priory Marquee followed by super saxophonist YolanDa Brown and her Trio playing until midnight. 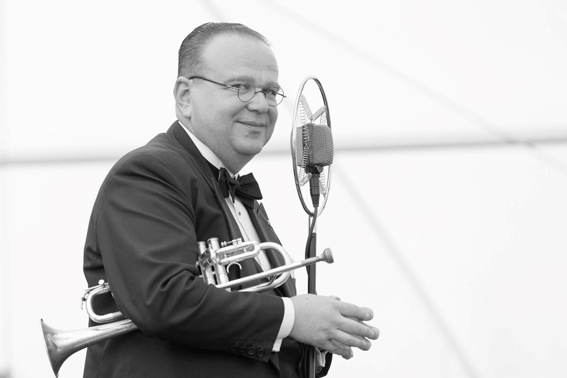 Sticky Wicket and his Swing Orchestra kicked Saturday off to a winning start with Sticky doing “his thang” on the drums! This is 1930’s, 40’s and 50’s Swing at its absolute best! U'Zambesi - a group from Bulawayo, led by Lucky Moyo sang songs of hope, courtship, love and worship in an Afro, Pop, Jazz, R&B and Reggae kind of a way. Their gumboot performance was just superb. 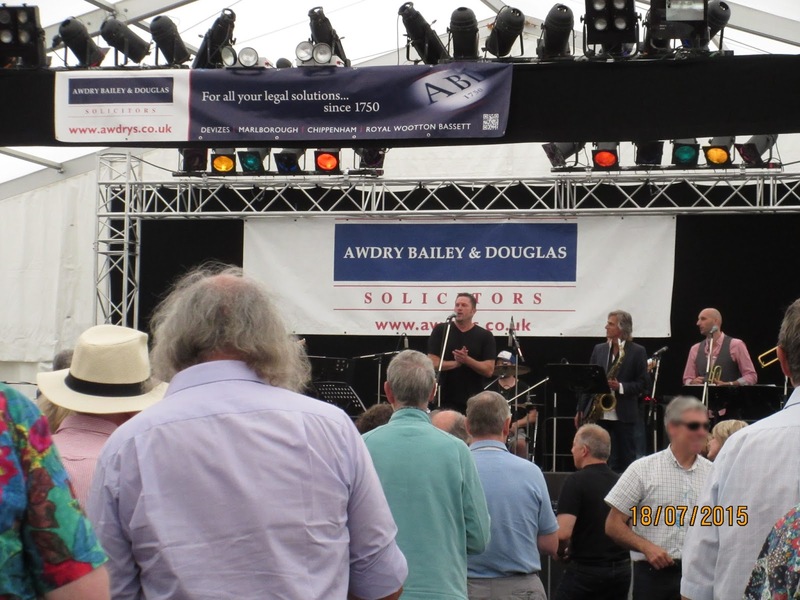 The legendary Adam Winslet and his octet of vocals, guitar, drums, keyboards, bass, sax trumpet and trombone really got the audience swaying and on their feet playing a mix of funk, rock and soothing soul to dance the evening away. 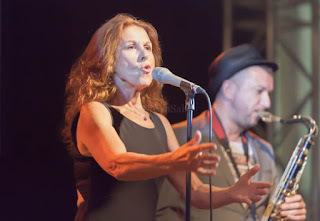 Referred to as British Queen of Blues, who by April 2012 had released more albums that had reached the top 75 of the UK album chart than any other British female artist, legendary singer Elkie Brooks was back to perform for 2 hours in the marquee with her amazingly powerful, husky voice. She supported The Beatles and the Small faces in the 1960s, before enjoying a solo career which included a run of 16 Top 25 albums. Favourite songs were “Pearl’s a Singer, “Lilac Wine” “Fool (if you think it’s over)” and more. Truly a star performance. What a way to end an evening! Last year the heavens opened and it poured with rain and they still drew a huge crowd. This year the sun shone for them and the crowd was even bigger!! 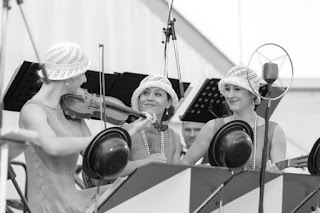 The Bratislava Hot Serenaders, (one to look out for) specialising in 1920’s and 1930’s foot tapping “hot jazz” were true to form. This Slovakian entertaining 18 piece orchestra led by brilliant trumpet player Juraj Bartos and supported by the Serenaders Sisters played “gramophone” style arrangements – Paul Whiteman, Duke Ellington, the Goldkette Orchestra but to name a few whilst dressed in traditional costume. The audience loved it so much, they played longer than planned! An added bonus!